The following is a list of places you have told us you have bought fabric. Do remember when you are buying online it is worth asking for a sample first. Pictures on the internet can be misleading and there is no substitute for seeing and feeling the fabric before you buy. If you have a gem of a place you buy your fabric do let us know so we can spread the word. Rolls and Rems 111 High Street, Lewisham, London, SE13 6AT, Tel. 020 8852 8686. A tardis of a shop. They have a wide selection of materials including curtain material in the upstairs area. They also have many ribbons and buttons etc. and patterns. The market is on a Wednesday and sells some lovely fabric. There is a fabric sale on the last Friday of the month. Based in Edenbridge, Kent, they are mostly mail order but do have ‘open days’ which are great. 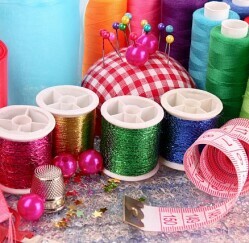 As well as fabric they stock haberdashery and are very quick to send orders out and are very helpful. A mail order site which is based in Birmingham. They have some lovely fabric and are very helpful. 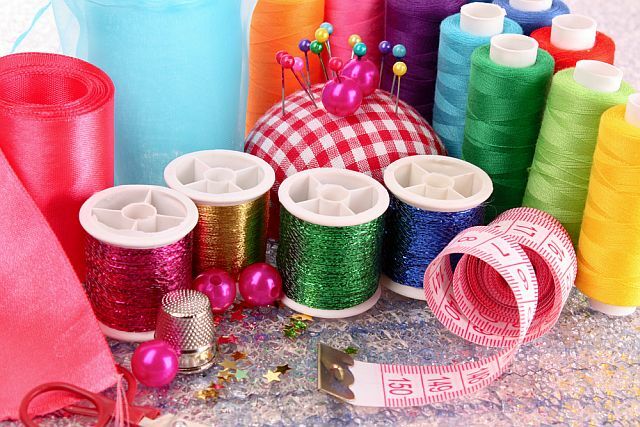 On a Thursday there are two fabric stalls, Friday and Saturday there is one, both very good value and on Thursday and Saturday there is the most wonderful and reasonably priced HABERDASHERY STALL. Denis has an excellent range if ribbons, zips, cottons etc and will always do his best to help and give advice (if you need it!). The main branch is in Tunbridge Wells and is a great shop which as well as fabric etc sells and will repair sewing machines. They also have an outlet in Pratts Bottom. An amazing fabric warehouse in North Wales which also has an online shop. Belle Fabrics. 6-12 Elm road, Leigh on Sea, Essex. This does not have an online shop but has a lovely range of fabric and worth a visit if you are in the area. Fabricland has a number of shops, although none of them are very local to South London. They do have an website with a huge range of fabric on it. 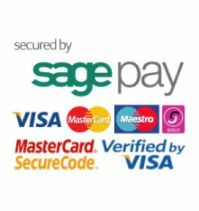 The website is not easy to navigate but if you are looking for a larger quantity of fabric at a very reasonable cost it is worth a look. An easy to navigate website with a great range of fabric. Do you have something to add to this list? Email us and let us know.